Near the hill in the south center of the park, behind the Hyde Park Neighborhood Club. Join your neighbors and enjoy an evening under the stars. Learn about light pollution and how to combat it. Telescope viewing and storytelling. Come see your favorite celestial objects. Bring your own telescopes and binoculars too! 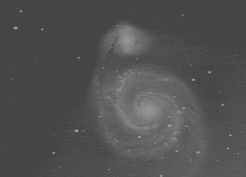 If cloudy, the observing session will be held on Tuesday night, same time, same place. Sponsored by: Hyde Park Circle of the Interreligious Sustainability Project, Ryerson Astronomical Society, Alderman Toni Preckwinkle and Alderman Leslie A. Hairston, and the Chicago Storytellers Guild. The Interreligious Sustainability Project is a project of the Center for Neighborhood Technology. For more information, please contact Clare Butterfield at (773) 278-4800 x215.